Have you ever had a hard time getting into "worship mode"? Sunday mornings are hectic, with getting the kids ready and out door for church, that by the time we sit down for worship we are exhausted. Daily tasks and stresses have us running and rushing around so that calming our heart to worship can be difficult. Worship leader Jenn Johnson shares of a time she was having a really bad mommy day. Yet she had to go and lead a church worship service. She said, "Time to take off the mommy hat and put on the worship hat." Her father-in-law and pastor replied, "The problem is, the worship hat should never have come off." The worship hat should never have come off. Worship is not standing up in a church service singing songs. It is a way of life. We can worship God in our every day tasks. Even those mundane things. as to the Lord and not men. As you walk outside, notice God's artistry and praise Him for it. As you fold your family's laundry, pray for each family member. As you wash dishes, praise God for His provisions. As you pay bills, praise God for your job. As you snuggle with your children, share Bible stories. As you go throughout your day, sing worship songs. As your children run around laughing, praise God for their physical abilities. Take time out every single day to read the Bible. 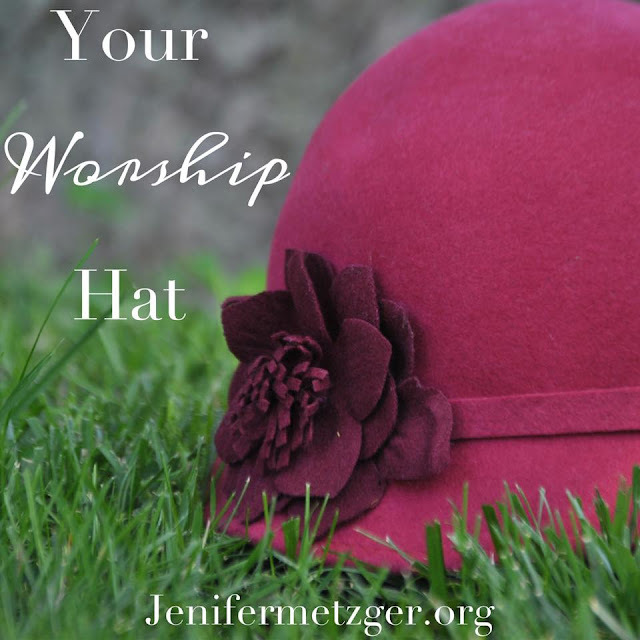 Don't take your worship hat off to live life. Live a life of worship. Hillsong United has a new cd, Empires. Hillsong is widely known for amazing worship music. A recent popluar song is Oceans. This new cd is full of incredible worship music to help you usher in the presence of God. I love having this cd playing in my home. Here is one of my favorites from Empires. To help you keep a heart of worship all day long, check out Empires. To win a copy, complete each task in the rafflecopter below. I love love love Hillsong!!!!! Your neighbor at Woman to Woman...sometimes its those simple sentences that have such a profound effect on our lives. The worship hat should never come off....in all things we give thanks and He gives us the opportunity to watch Him do extraordinary things in our lives. Thanks for a good word. I go to church and listen to Christian music. My brother is a worship director.